Special Event Rentals customer service doesn’t end after regular business hours! We offer a 24 hour, 7 days a week pager service giving you peace of mind. Whether you’re planning a wedding, dinner party or a corporate event, your complete satisfaction is our main objective. We’re happy to assist you! Our wide selection of chairs, tables, dance floor, dinnerware, linens and all accessories allows you to “one-stop shopping” and have the most innovative products for your special day. “I cannot begin to thank the team at Special Event Rentals enough for doing the most magnificent job with our outdoor décor. I dreamt that it would feel cozy and romantic; and honestly, the décor outside completely surpassed my expectations. 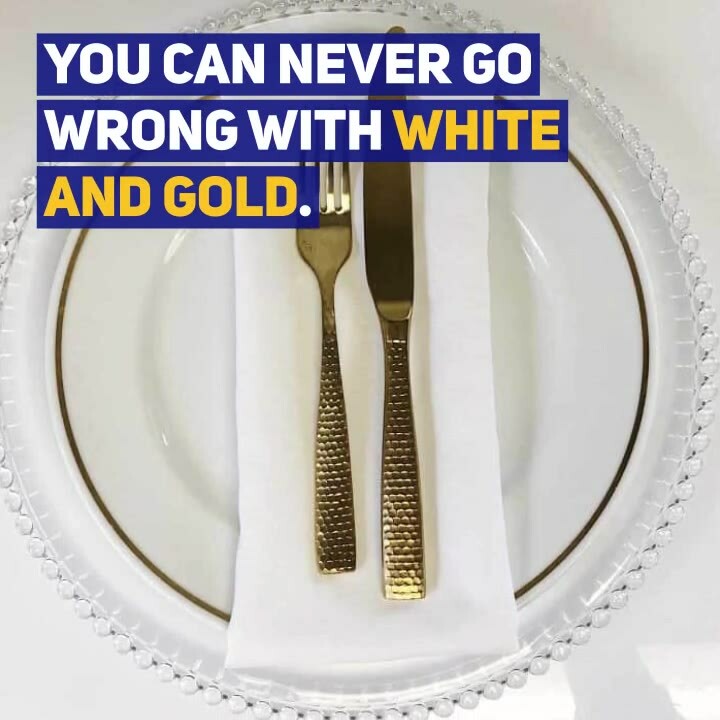 We were also the first to use the gold cutlery, and wow! Was it ever spectacular." It can be exciting and fun, but it can also be a stressful task. The talented staff here at Special Event Rentals want to make your planning process simple and convenient with our Wedding Packages!